Another not really positive low quality post, so if you're not in a mood to hear some rants, just skip it. I don't consider talks about different programming languages to be blasphemy. Quite otherwise - they are good to let you rethink what you do daily in your own language. In a recent discussion about languages (and after many fruitless attempts to compile Wesnoth with GCC on Windows) I thought that C/C++ must die, because really all major security problems are because of it. Memory problems, reinventing the wheels, wasting time in Makefile's and Autoconf / Visual Studio project files. Everybody is just forced to use it, people feel like they've become an elite by learning it, but in fact they are just wasting time. Well, you can't blame people for that. Everybody entertains in a way he can, and me while writing this post too. Yes, early hacker's culture is still here, but is it here to hack on real world problems anymore? NumPy, SciPy, PANDAS, BioPython - this is the example of tools that modern hackers use. C is only useful to speed up parts of application and that's it. It is not designed to make app more secure, to save developer's time, to increase productivity, even to be hardware independent, and I believe the main reason for its popularity is that it is just the default for Unix. C for Unix is a Visual Basic for Windows. This doesn't make Visual Basic better - this makes C worse. What about Python? Well, here are some stats. These are stats from TIOBE (clickable). They don't measure anything - just show some lines that correlate to each other. Python 3.2, documentation released on 20 February 2011. Right. Everybody knew that Python 3.1 is going to be bad, and everybody expected Python 3.2 to be good, but that didn't happen. You may tell people anything - "don't expect", "it is planned", "it is better" - regardless if people hear you or not, they will still have some expectations, and if these expectations don't match the experience , you see the "disappointment line" decline. You see the second peak didn't bring any good news either. I am disappointed too, and if you don't want to read yet another boring complain, just skip this paragraph. I expected Python 3 to be ready for the internet age, with cross-platform behavior preferred over system-dependent one, with clear semantics to work with binary data, with non-confusing error handling and API that gives hints and helps to pave your way on uncharted grounds, such as abstract unicode. Maybe Python 3 is beautiful, but I fail to see how - it is not more modular than Python 2 - I can not switch features of the language on and off to taste experimental stuff of propose my own, I don't see any pictures of improved internal structures or . I didn't expect more things to work by default, but I hoped that explicit interfaces continue to be intuitive. There are many little things that sum up and spoil the fun like trailing whitespaces in JSON output that play significant role in providing backward compatibility for Python. I don't know if that is fixed in Python 3, and I don't have any means to track that. When these little things sum up, you realize that you're just wasting time trying to improve things that people don't want to improve. They don't want to improve the process. They don't realize that the problem is not in the language, but in the way they don't want to hear each other. Technology showed that people want to be heard, that they opinion should be accounted , not closed as won't fix , or works for me . It is not a community process, when you rely on abilities of certain individuals to monitor and respond to all traffic and wishes, especially when they fail to do so. Community process is when there are tools that people can collaborate about, there is research, a place for sharing opinions and sum up the result, a time to track the progress and do the work, and an open environment to experiment and evolve. Where every opinion counts and adds up to become a signal. Where signals are reacted to not because there are people who feel responsible, but because it is fun and has a positive feedback. There is a certain paralysis. Many people are stuck in corporate against their will, bound by economy. But I am sure in every company it is possible to dedicate a "SyncFriday" - day dedicated to sync with other developers outside to do things in open source with all necessary stuff prepared. If a company can not afford it - why not just leave it. What's the point in helping corporation that doesn't make the world better from your own point of view too? 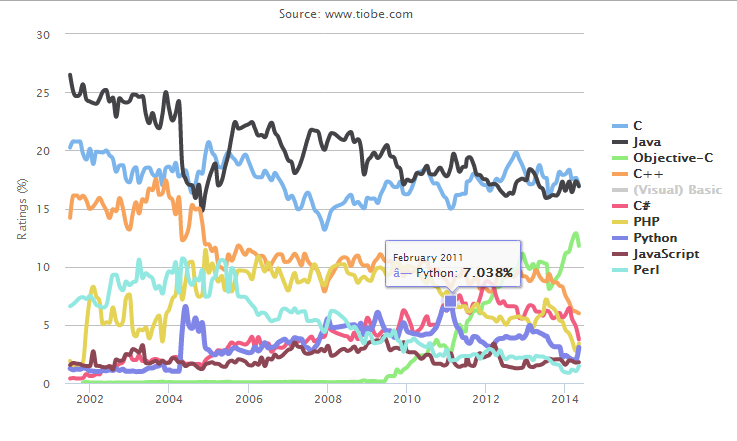 And much as with corporations, I don't see why anyone should be interested to help Python 3.x to become better. It takes too much energy and is so hopeless, at least for me. Singing papers, writing long explanatory PEP notes, discussing things with your core boss. There are no stats, no summaries, no analysis and comparisons, root cause research - only a lots of text and opinionated and busy individuals like myself. Can this be changed? Not with text. More people who can draw, animate, make beautiful graphics work to make hard problems visible. This will help. Work with people expectations - if these are unreal - do not try to change them, explain them. Make the problems visible, give people the freedom to try, do not demand, do not press, just create environment, and do not use text - it is useless. Art is the future. And the future is both visually appealing, nice to touch and easy to follow.